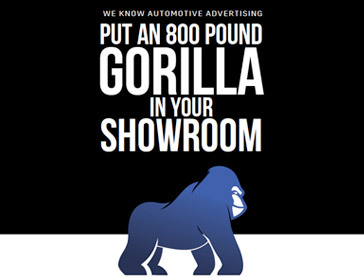 Our main goal is to put an 800 pound gorilla in your showroom to help you sell more inventory. 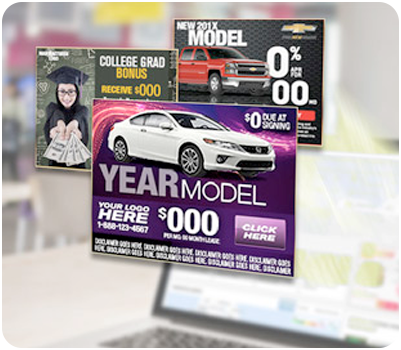 We work seamlessly with owners, GMs, General Sales Managers and Service Managers to make sure your automotive advertising works for you. We ensure that all of your projects are manufacturer and FTC compliant, so you can keep your focus on increasing your sales. Let us help you promote your marketing needs quickly and cohesively. With our different automotive solutions, we will lock out your competition and help you secure your market exclusivity. And many other demographics that help pinpoint delivery for maximum effectiveness. 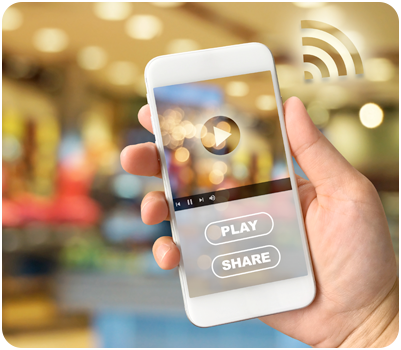 Video Pre-Roll lets you target your TV spot or online video message exactly where you want to be seen down to a single zipcode. Avoid the waste of broadcast TV! Geo-fencing creates a virtual fence around a brick and mortar locations. 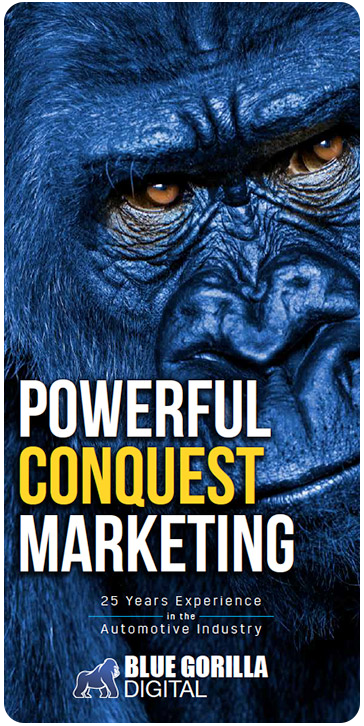 With Blue Gorilla Digital’s Data Fencing products, we not only display mobile ads in real-time, but also match the prospects to “Big Data” opt-in consumer database. That allows us to deliver an automated, real-time email to those prospects captured within the Data Fence. We then provide you the contact and demographic data for those within the geo-fence directly to you via email or through your CRM. My Site Shopper is an innovative new lead generation solution for dealership websites. Our patent pending technology allows you to gain detailed information about your web visitors. The DataPixel also allows you to track and follow which pages your visitors have viewed and how long they viewed that page down to the second. The best part is, they don’t even have to fill out a form. The DataPixel algorithm captures hundreds of different fields and then uses a distinct set of variable fields to tie in “Big Data” and opt-in only contact information back to the consumer visiting your website. 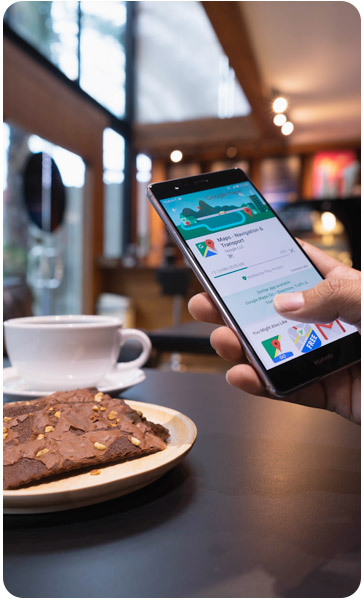 Connect your dealership with millions of new customers and drive more sales today! 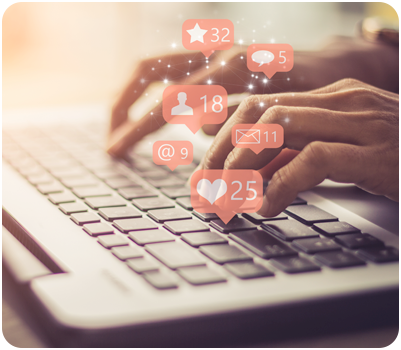 With our Social Media Campaign packages, we create a customized Facebook Ad and target audiences through paid Facebook Ad campaigns – delivering only engaging and unique content. We establish long-term relationships with our dealers, so that we can prevent overlapping campaigns and overlapping targets, and recommend the right schedule of mail at the right time of year, to bring you the best results possible on a consistent basis. Or goal is never a one-time sale, but rather a long-term, successful relationship. From copy-writing, to design, to printing and mailing services – we can create custom designs to match events, holidays and themes. 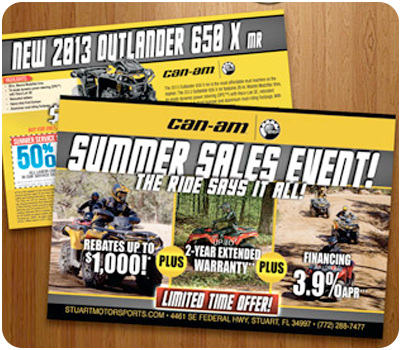 Check out some of our work at our sister company Blue Gorilla Mail.